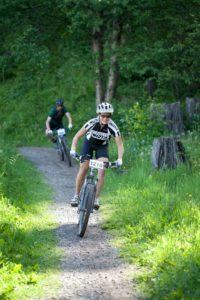 I didn’t discover mountain biking until my mid-twenties. 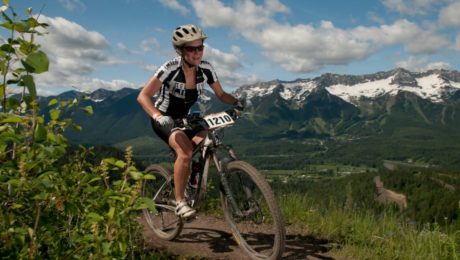 While Fernie’s epic trail network, both in town and at Fernie Alpine Resort had yet to be developed in my youth, mountain biking has become such an integral part of Fernie it’s difficult to remember it any other way. After graduating, the lure to come home was strong. 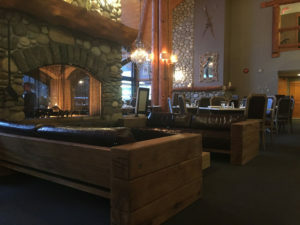 I spent every possible moment in Fernie and noticed a big change during the summer months. Bikes… they were everywhere. I decided to take a friend up on an offer to go for a ride. 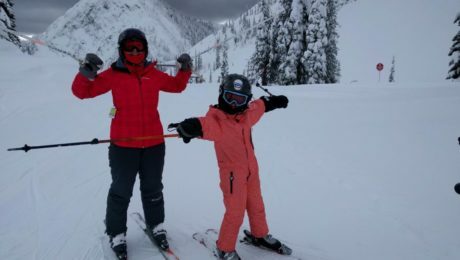 That friend was Emily Brydon, and she decided Verboten was great way to start (a Black Diamond at the top of Red Tree Road just off the ski hill.) 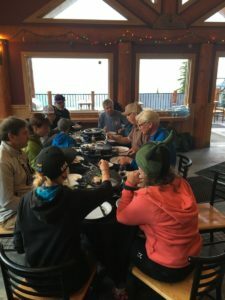 A group of us rode from Timberline Village, and I was mesmerized as we crossed bowls I had only seen on skis. 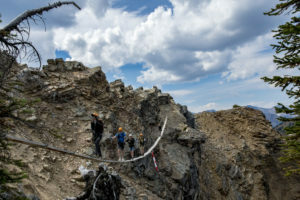 This feeling quickly shifted to fear and defeat as we made our way down the technical trail. A few years later, I moved home and decided to park my car and buy a mountain bike. It was 2006, and while I still had a tremendous amount of fear, I just couldn’t get it out of my head. I fell in with a fantastic group of women who supported and pushed me and were integral to me falling in love with the sport. 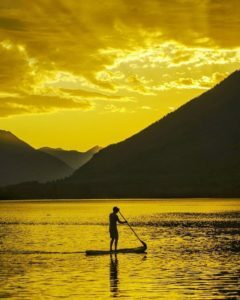 In August of that summer, I watched in awe as rider after rider crossed the finish line of the TransRockies and thought… I’m going to do this one day. And I did. 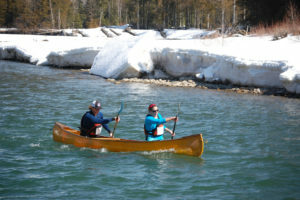 While I love the accomplishment of finishing a race, I get the same feeling nearly every day riding in Fernie. 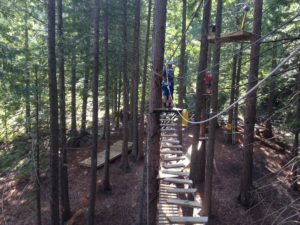 Trail development and enhancement has meant new entry level and flow trails are available, along with more challenging and technical rides and everything in between. I love this about mountain biking. 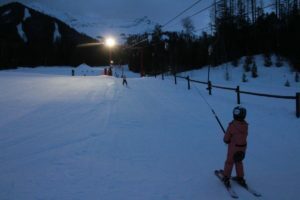 It allows everyone to test themselves whatever age, level or style of rider, and in turn can expose them to a side of themselves they may have long forgotten or didn’t know existed. 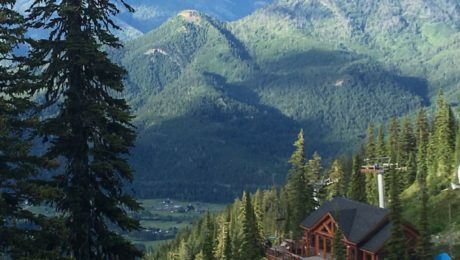 The same goes for Fernie – it never saw itself as a summer destination, but mountain biking has sure shown us something different. I bike a lot, from the first trails to show themselves in the spring, to the last trails to be covered in the fall. Typically during the week I stick to trails in town for the ease of a quick early morning or evening ride just out the door. A favourite loop is Hyperventilation to Hyper Extension, and slipping into Ridgemont to finish on Oh Dear if there’s time. 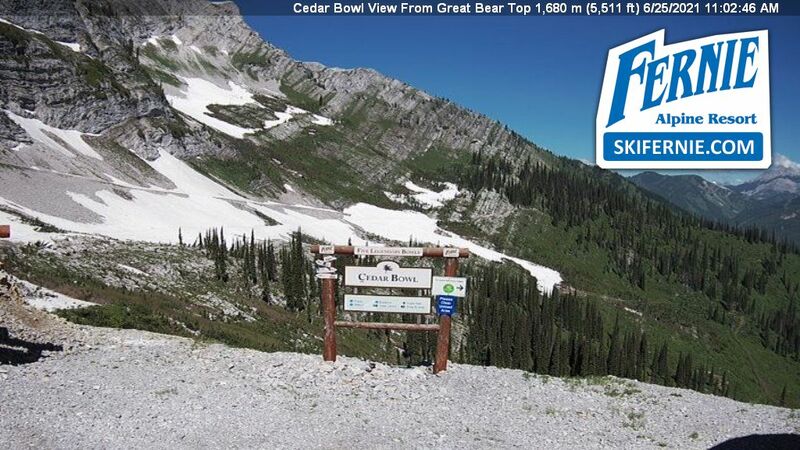 But on any given Sunday I can be found in Mount Fernie Provincial Park, heading to Fernie Alpine Resort via Old Goat and Mega Hurtz or the newly revitalized Ben Emmett. 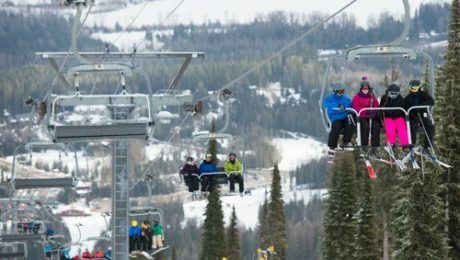 From there, I catch a lift and laugh and giggle all the way down beautifully manicured trails like Duff Dynasty, Top Gun and Eville. And on the way home, I always climb my way to Verboten for the final descent, and remember how times have changed. For the better. 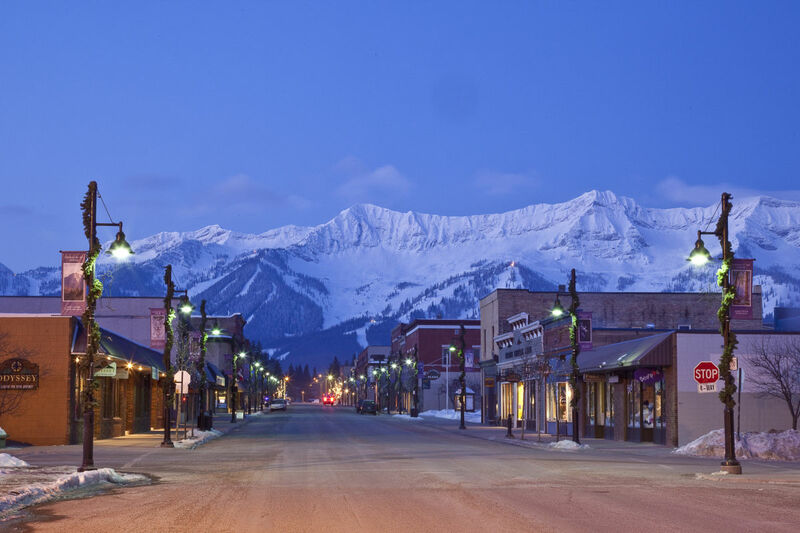 The main reason we make winter weekend pilgrimages to Fernie, B.C. 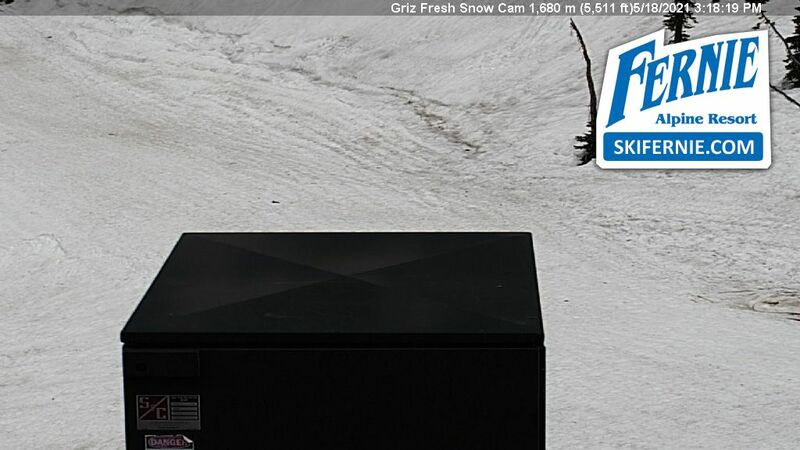 is the snow. 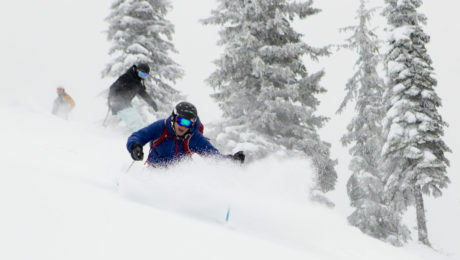 Nearly 40 feet of the white stuff falls every season and covers the ski resort and nearby trails with an embarrassment of fluffy flakes. 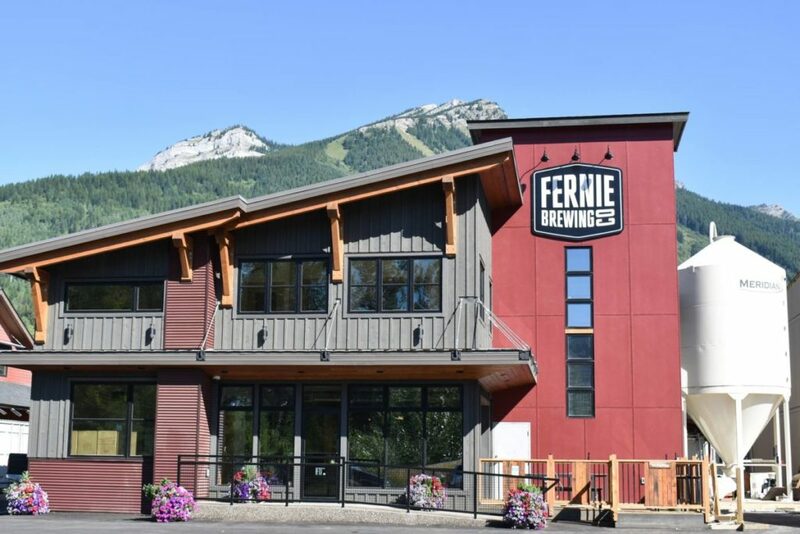 Naturally, downhill skiing is the main attraction, but there’s more to do in Fernie than just snorkel through powder on fat skis. 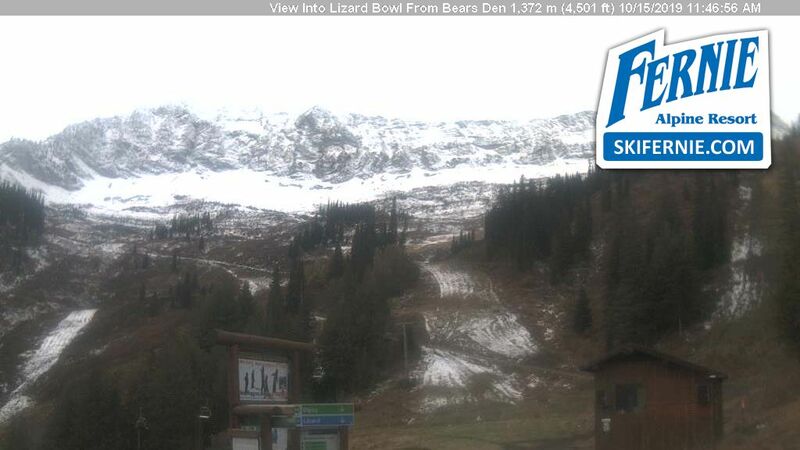 It truly is a winter playground and that’s why we love it. 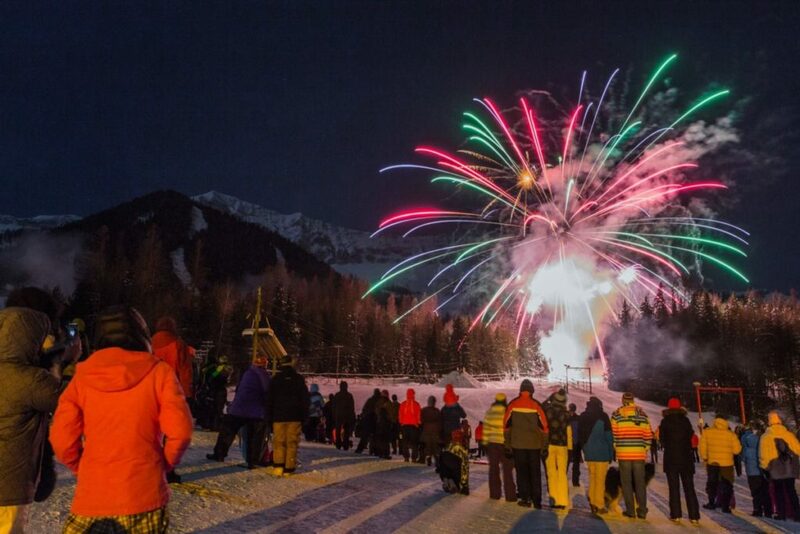 Here are our Top 5 favourite things to do during a Fernie winter. 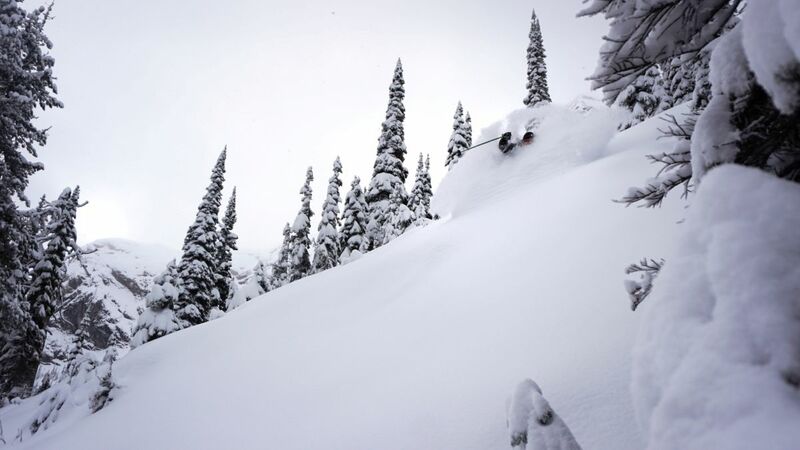 You can’t ignore nature, so when Fernie Alpine Resort receives an epic dump that blows a foot or more of fresh snow across its five alpine bowls, you’d best get yourself to the top of the mountain, stat. 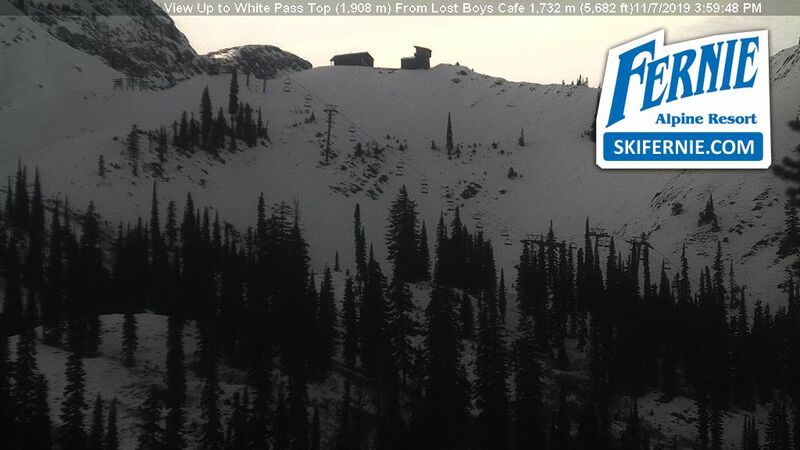 But even when there’s no new snow, Fernie’s 2,500 acres of terrain delivers. 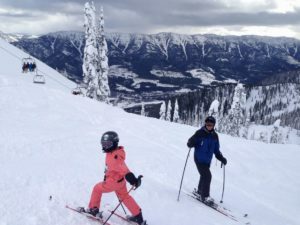 North-facing slopes like the 123’s in Currie Bowl hold the snow well into spring, and there are plenty of steeps, bumps, glades, groomers and beginner runs for everyone in the family. 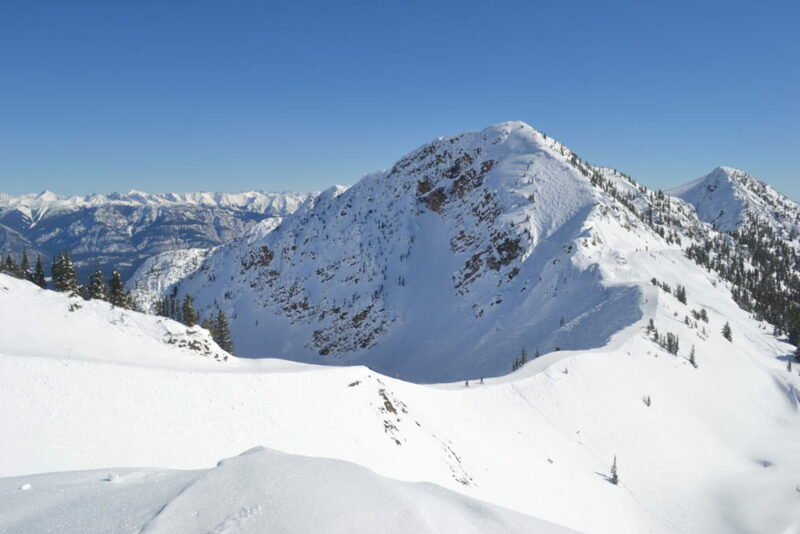 (Insider tip: head to Snake Ridge in Cedar Bowl for gnarly vertical, try the runs off Boomerang chair for moguls, and float between perfectly-spaced trees on Morning Glory in Siberia Bowl). 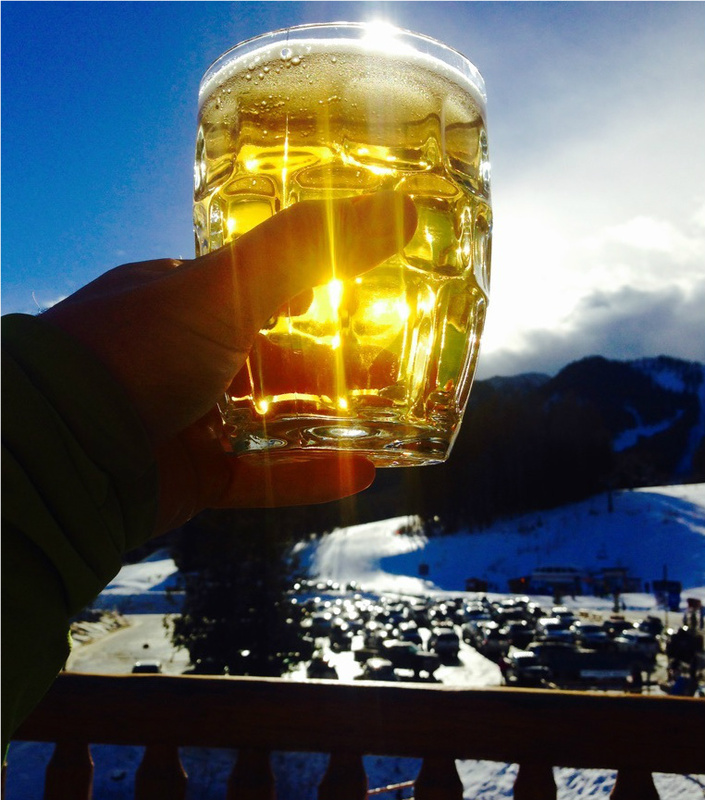 No ski day is complete without a little bit of après. 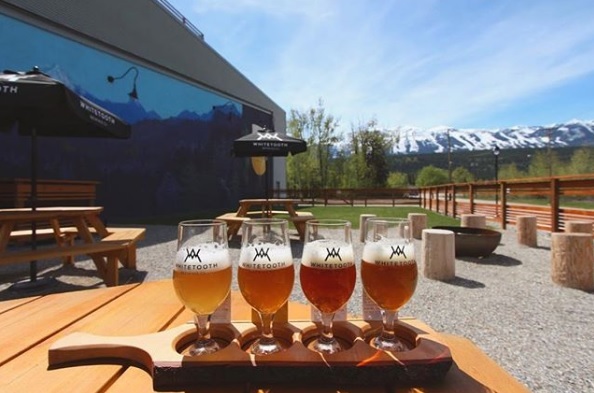 Fernie boasts more bars per capita than most ski towns—there are 14 bars for a population of just 4,000—and it also has the only Ice Bar in the Canadian Rocky Mountains. 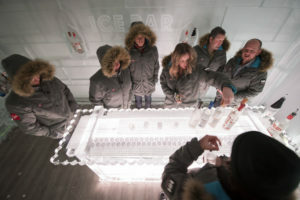 The new vodka tasting ice room at Lizard Creek Lodge is an intimate indoor, refrigerated room complete with an ice bar, ice shot glasses and ice walls with ice alcoves into which are placed more than 20 kinds of vodka from around the world. 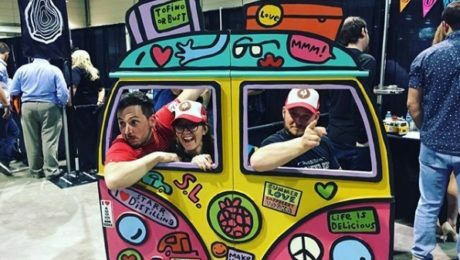 Guests don a Helly Hansen parka and then shoot back a flight of three vodkas, from smooth Tito’s Handmade to Stoli’s sweet Salted Karamel. 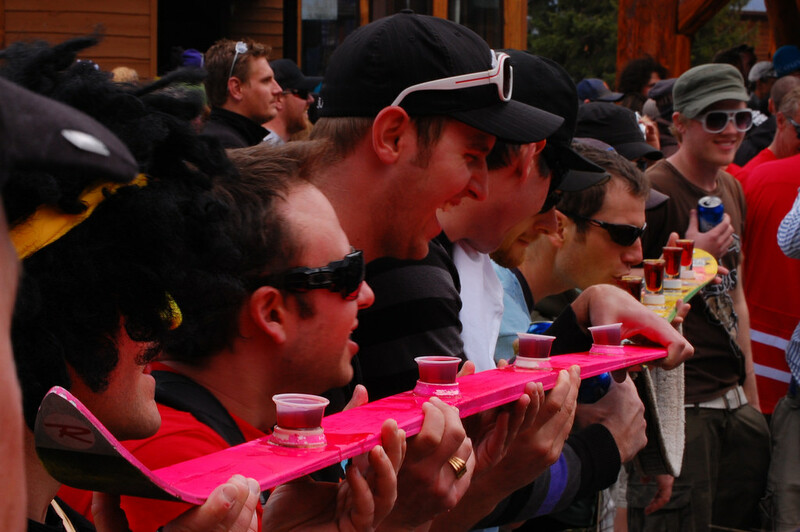 This après-ski experience will ease the pain of sore muscles (and dull the memory of any tumbles). 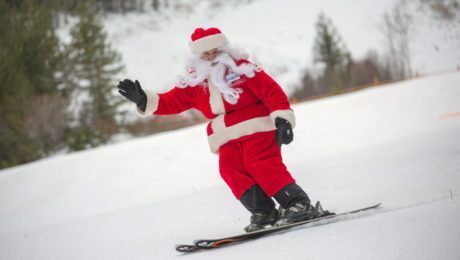 Like kids at a playground, once you’ve been sliding for hours, you want to try something else that’s just as rewarding. By all accounts, winter fat biking is the best new way to combine a great workout from the uphill climb with an adrenalin hit on the descent. 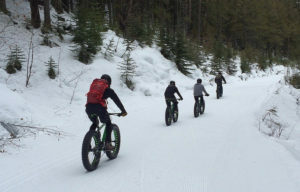 For those not in the know, fat bikes are basically mountain bikes with custom forks to accommodate wide tires that provide more stability and extra grip and traction on snow. 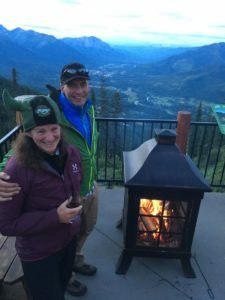 You can rent one at the FAR Rental Shop on the mountain, or at the Gear Hub in town, and then hit Fernie’s system of over 90 trails. 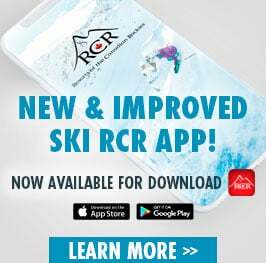 Beginners can start on the flat riverside trails, and progress to the wide, groomed trails in the Montane area off Coal Creek Road, or tackle the 12 kilometres of groomed trails adjacent to the Timber Bowl chair at the ski hill. 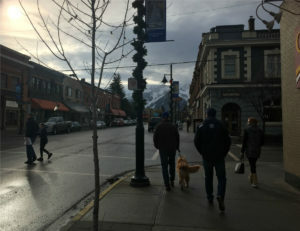 Historic downtown Fernie, set with the dramatic Lizard Range as a backdrop, is one of the most picturesque ski towns in Canada. The best way to take in its charm is on foot, by strolling past original brick and sandstone buildings that date back to the early 1900s and now house an eclectic mix of bars, boutiques, restaurants and specialty shops. 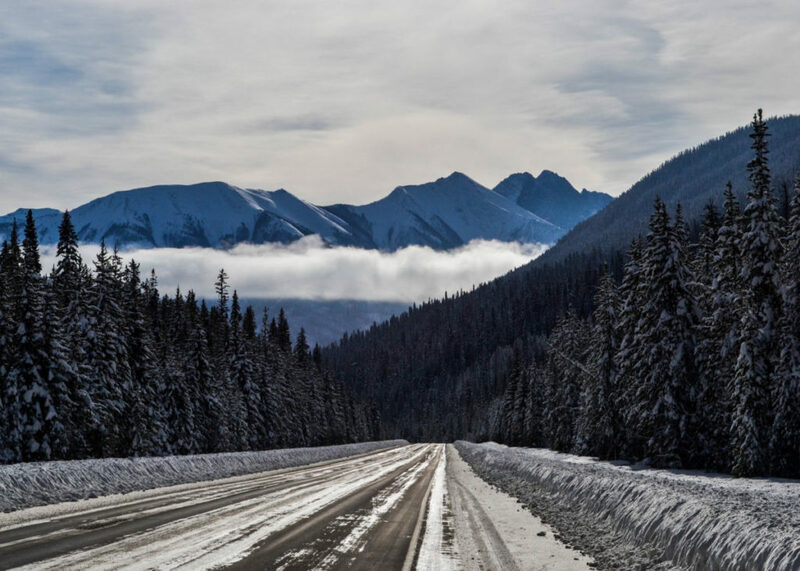 Pop in to the Fernie Arts Co-op to admire jewelry, art and photography by local artists, and check out the Ghostrider Trading Co. for Fernie clothing and souvenirs. 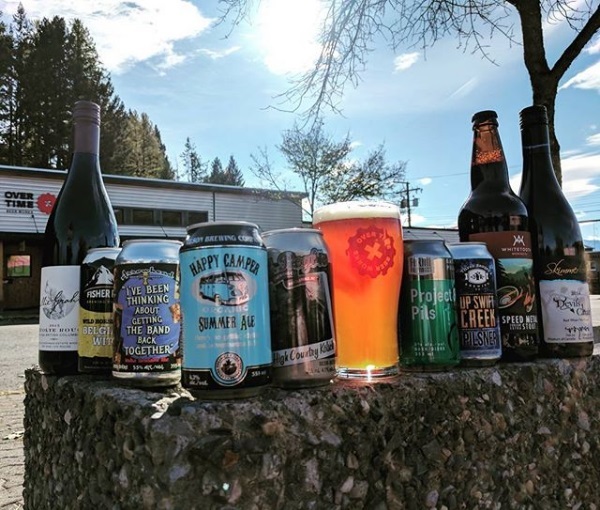 Stop in at Nevados for delicious pork belly tacos and the best margaritas in town, or head to The Brickhouse if a burger and Fernie Brewing Co. beer are more your style. And don’t miss Beanpod for artisan chocolate made right in the store. There’s something magical about gliding through a silent forest under your own power while giant snowflakes twirl down from the sky. 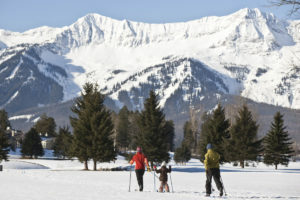 It’s not all about steep and deep at Fernie—the town also boasts plenty of groomed and track-set trails for Nordic skiers. 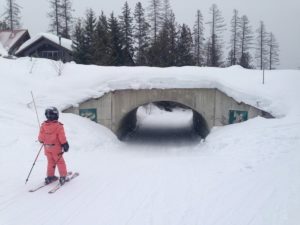 There are even cross-country trails right at the base of the ski hill for keeners who want to tackle both styles of skiing in one day! 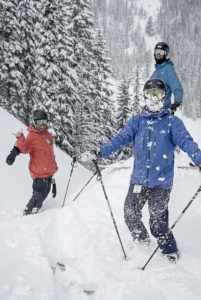 Or, check out the trails up at Island Lake Lodge, the groomed trails at the Fernie Golf and Country Club or the skier-only (no fat bikes) trails at the new Elk Valley Nordic Centre. 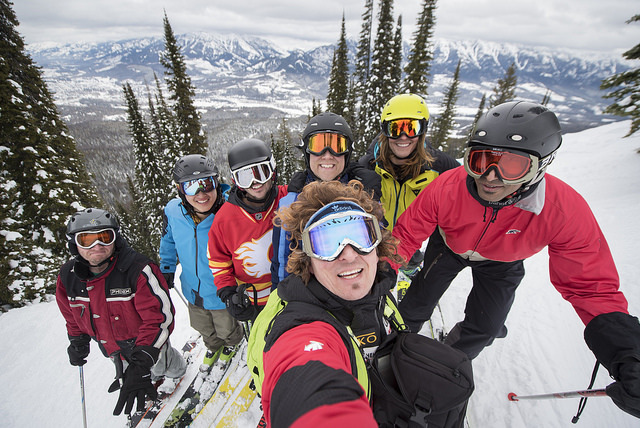 Check in with the Fernie Nordic Society for trail conditions and details. and this was just the pre season! 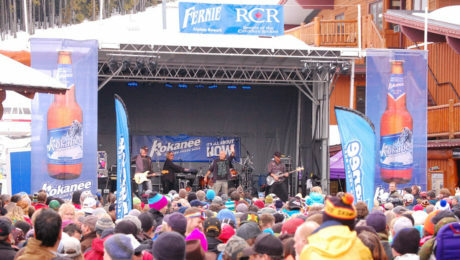 Having even more awesome locals to chat with at local bars during après ski and last but certainly not least throwing one epic year end FREE outdoor festival year after year (the biggest concert in the Rockies)! 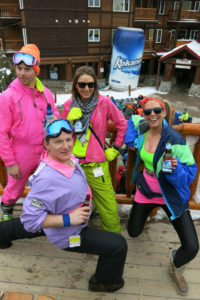 The people of Fernie have an interesting affinity for the 80’s. This is not an uncommon sight to see (photo right), and one which begs the question, why do people in 80’s wear always pose in a lunge? 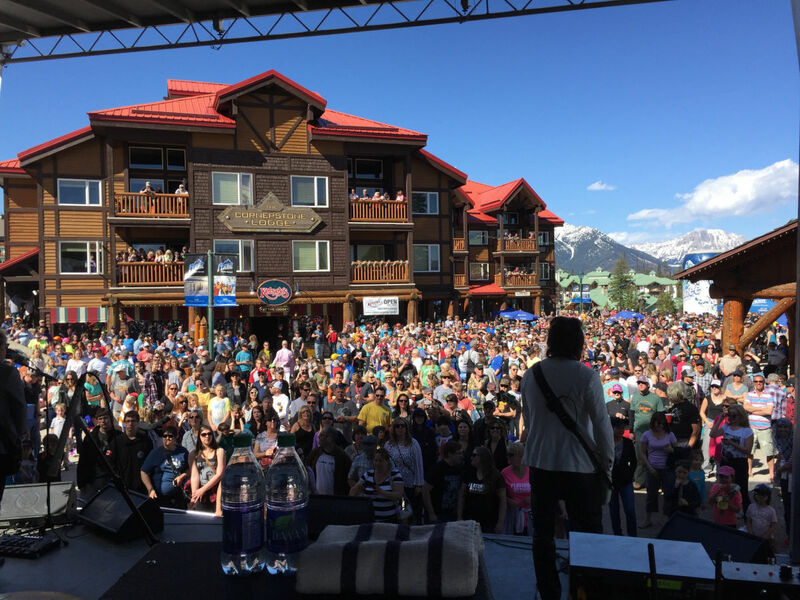 Whatever the reason for the 80’s lunge is, Fernival has catered to this ongoing love affair in many of our previous 8 festivals with acts including Trooper, Spirit of the West and Platinum Blonde! This year, the 9th annual festival is getting a fun little shake up turning the one day event into two – starting with a classic rock cover band, The Backroad Traveler Band to get the fill of our favourite classics in, moving to Skratch Bastid, the nationally popular DJ to entertain us before the final act – Wide Mouth Mason! Do it all again the next day with the high energy AC/DC cover band aptly named BC/DC. Did we mention it’s all free? 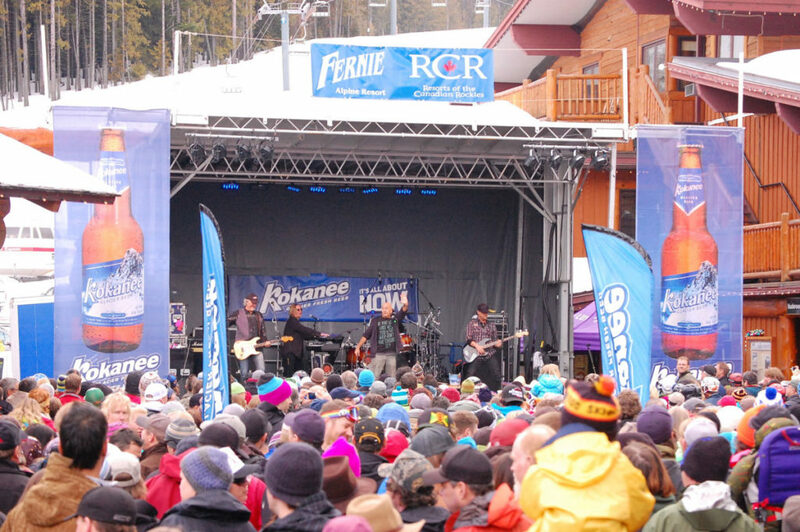 Fernival takes place in the plaza at Fernie Alpine Resort, surrounded by an alpine village offering a variety of hotel, condo and ski in/ski out accommodations to fit the smallest and largest of groups. Meaning after a day of this type of partying…. you barely have to stumble more than a snowballs throw away to get to your home for the weekend. 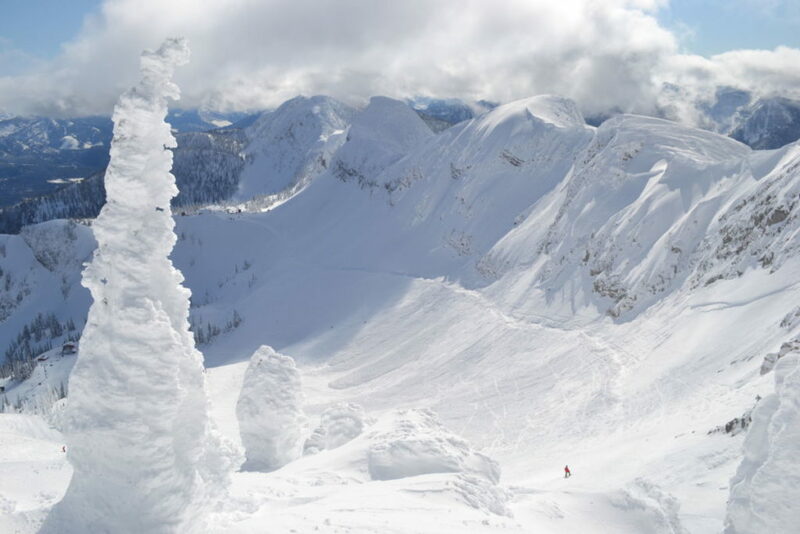 And if riding is all you’re after – Fernie is known for its heavy snowfall along with a mild climate, making it one of the best places to spring ski! 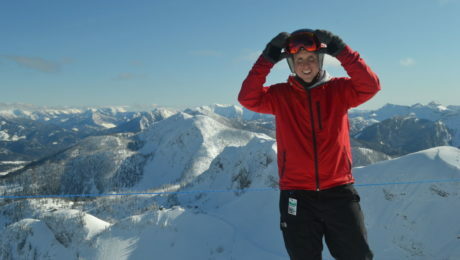 With the balmy temps you can forgo wearing that ski jacket and head out in a bunnyhug (hoodie for those who might not know our western Canadian slang) or sometimes even a t-shirt at the end of the season here! 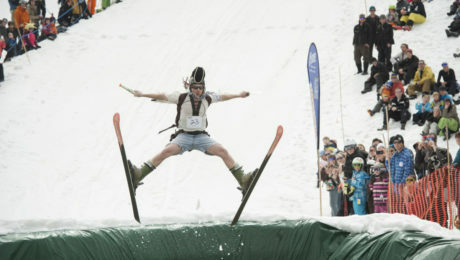 Don’t forget to top it all off with the SlopeSoaker event on Sunday afternoon and watch brave/crazy participants attempt to cross our pond in wacky outfits for the ultimate ski bum event title. So be one of these people this April! 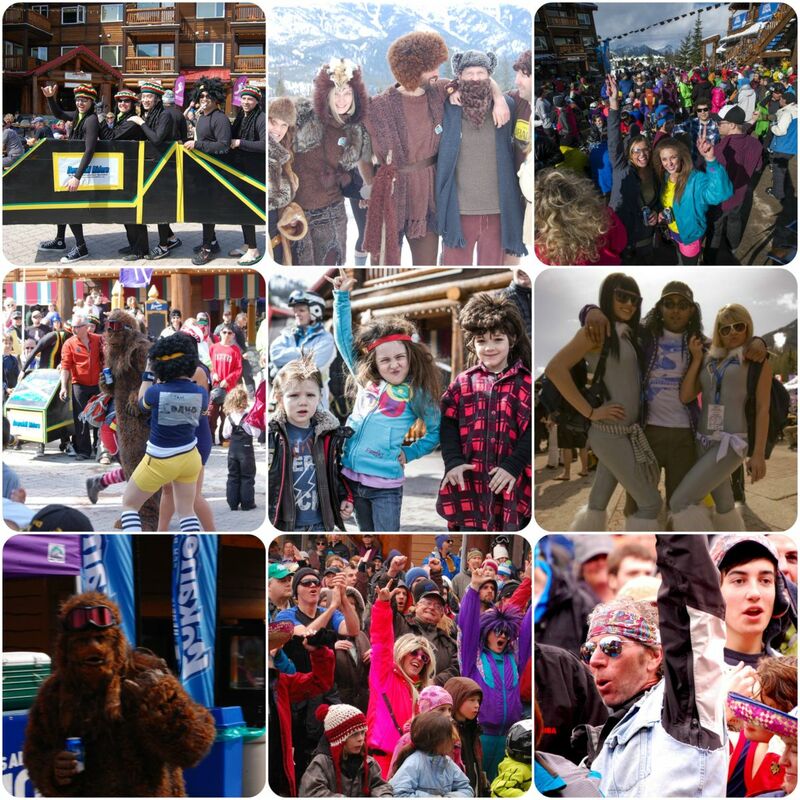 And attend Fernival in Fernie, British Columbia, Canada! 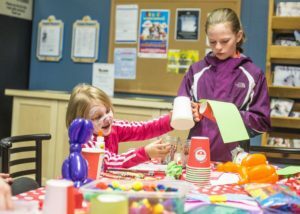 Fernival is on April 15th & 16th, 2017.